Manufacturers that need to either label or tag their products can chose from a variety of options including passive (e.g, stickers, labels, stamped plates, etching ) or active (e.g, RFID). These identifiers can be permanently etched onto the product or temporarily applied for later removal. Depending on your volume and requirements you may chose to purchase labels or tags to apply in-house during the manufacturing process, or to purchase your own equipment. For permanent laser etching and engraving it’s almost always necessary to have on-site machinery. All-Marks manufactures equipment for end customer use as well as provides customer labels. They are a leading supplier of laser marking equipment, UID labels, and software solutions for achieving DoD mandated compliance for RFID and IUID (Item Unique Identification). All-Marks also has the capability to provide WAWF (Wide Area Work Flow) submission software and verification and validation equipment for RFID/UID to meet commercial and DoD (MIL-STD-130N) applications. When considering purchasing laser marking equipment, it’s important to consider the expected lifetime as well as any anticipated down-time, in addition to the initial cost. The MTBF on All-Marks laser source is a minimum of 50,000 – 100,00 hours. These are built to withstand harsh industrial work conditions with sealed optics and sealed electronics. Another key consideration is time based costs. The less time it takes to mark a product, the sooner it is out of that part of the manufacturing phase and able to ship. 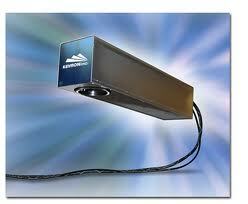 All-Marks laser marking systems are the fastest and most easily integrated laser marking solutions available today. Their integration models support 4 axis motion control and have an additional 14 inputs and 14 outputs for seamless automation. This enables greatly simplified integration, without the use of additional external controllers in many cases. Their machines come with standard, turn-key integrated work cells – this includes rotary chuck marking station, rotary table marking station, X/Y/Z indexing station, and 24” – 36” pallet based conveyor (race track) work cell with line spur. These features are designed to offer increased productivity without the additional cost of engineering and labor. To complete the marking and etching system, dust extractors, fume vents, and parts cleaning / polishing equipment are available at MTA Sales and Downdraft Sales .